Many Americans who need fast cash for a financial emergency turn to car title loans. However, The Federal Trade Commission warns consumers to be wary of car title loans and their repercussions. A car title loan is a way to get quick cash by offering up your car title as collateral. Car title loans typically range between $1,000 and $10,000, but car title loan providers will typically only offer a loan at 40% or less of what your car is worth. When you apply for a car title loan, you usually don’t have to go through a credit check or provide proof of income, because the lender feels secure in the fact that they can take your car if you don’t pay. Most of the time, a borrower seeks a car title loan when they have a financial emergency and don’t feel they have another choice. The borrower approaches the title loan lender, who takes some time to assess the value of the car. The title loan lender then offers a loan based on a percentage of the car’s appraised worth. When the borrower accepts the terms of the title loan (usually less than one hour later), they hand over their car title until the loan is paid back in full. Some lenders even require a GPS installed in the car or a remote immobilizer, devices which make the car easier to find and repossess if the borrower does not pay back the loan. Title loan lenders typically offer two methods for paying back a car title loan. Single payment loans require the entire amount of the loan, plus any fees and interest, to be paid back all at once, as a lump sum, 30 days after the loan is lent. Installment loans let borrowers make multiple payments on their car title loan. Installment loans can last from 3 to 6 months. Why is a Car Title Loan Dangerous? · If you can’t pay your loan back, you’ll lose your car. Your car is typically worth 60% more than the loan you took out, so this is a huge financial hit that’s hard to recover from. Losing your car can also have a domino effect because it eliminates your ability to get to work, making it even harder to keep your job and pay off car title loan debt. · If you have bad credit, you might feel like taking out a car title loan is your only option. Keep in mind that these types of loans can take your credit from bad to worse if you don’t pay on time. If the debt snowballs, you may even be forced to declare bankruptcy. · A car title loan may be the beginning of a cycle of debt that will leave you unable to recover. If you lose your car, you might also lose your job. Late fees and interest can pile up and make a once more reasonable amount impossible to pay off. Many people, almost 90% of first time car title loan borrowers, will take out loan after loan after loan to pay the previous one off. If the title loan lender repossesses your car, they can charge you for repossession and storage costs. Some states even allow car title lenders to sell the car at a high price without requiring them to pay the difference back to the borrower. How is AmeriCash Loans Different? While AmeriCash Loans is an installment loan provider, we never hold physical possessions as collateral. It doesn’t make sense to us to take away your means to make a living and care for your family. Everyone has financial emergencies, and you shouldn’t lose your way of life because you need a little help. We also always require proof of income to ensure that you don’t get in over your head with your loan. 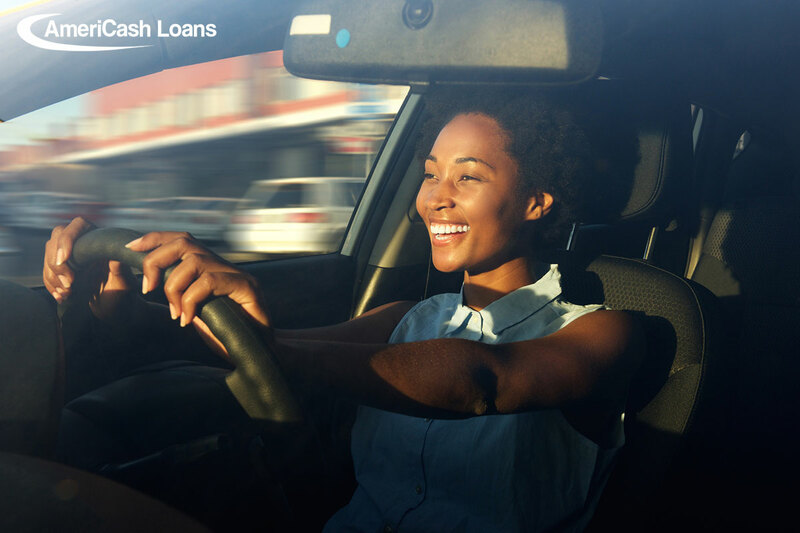 An AmeriCash installment loan is a much safer option that gives you more ways to protect yourself than a car title lender ever could. The biggest AmeriCash Loans difference is our people and the way they interact with our customers. At AmeriCash Loans, we believe in real, person to person relationships and in helping our loyal customers get cash relief in their time of need. If you have a financial emergency, apply in-store or online today. Our friendly Customer Service Representatives will explain the process and get you the money you need quickly, up to $4,000.